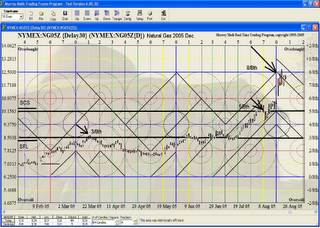 Fibonacci Ratio "traders" predict reverses off: 38.2% - 61.8% of random extremes.Oxymoron: Make Exact Future Predictions off random chance extremes: highs and lows you are allowed to choose yourself, when you are not qualified, nor do you have the track record, that proves you know you are setting your life’s savings against the "pros" who, "laugh when you lose." Vegas would go broke in 13 weeks, if they offered you games of chance, set to the same rules, "traders" use to trade (invest). Harrah’s and Steve Wynn would go broke into Chapter 11, in 128 gambling days, if they didn’t know, within ½ of one percent, their odds they would have their odds in the favor of the house. Vegas will invite you to come to their city, house you, feed you, entertain you, and give you the exact odds, for every game, and you will (still) hear them "laugh when you lose." Howard Hughes, Elvis, The Mafia, The Mormon Church and Frank Sanatra and the Rat Pack, enjoyed the fruits of pleasure, of cash made from "laughing when you lose." Adults enjoy their mature (end) of their lives, giving back undeserved profits, by gambling at games of chance, with the worst odds over time. Which church gets yours? Losing is a major part of life. "Losers" confirm they are what they do. Maslow, Freud and Karen Horney surmised that Man was not (really) in his search for meaning, but was struggling to gather (gain) profits, in early life, so they could give them back, through games of chance, for the "guilt from ill gained profits." Why do old people get dumber? 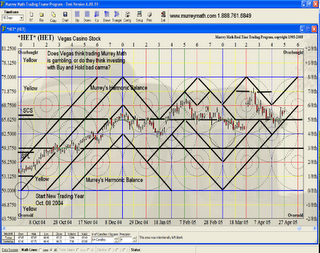 Which gambling method would produce the most profits, using the Buy and Hold Trading Strategy? 1) invest $250.00 per week into a slot machine for $1,000,000 pay off. 2) Invest $ 250.00 per week into a 2 cent stock on the pink sheets? Every, mature, retired adult will tell you, your odds are better in the slot machine, since they feed you free, plus all the alcohol you can drink, as long as you don’t fall off your seat: The American Dream. Sir John Templeton, Billionaire used this method, after World War ll and it worked. He had a simple trading technique: buy low. He was willing to risk 2 cents per trade. He knew the exact bottom, so he didn’t care about the future highs: the skies the limit. He bought 34 bankrupt stocks and only four failed. He made millions. He opened his Templeton Growth Fund is 1954. Books have been written about john Templeton, from Tennessee. He bought worthless stocks worth 2.4414 cents. Victor Johnson from Nashville bought a garbage dump, near the river, downtown, which turned into millions, by buying it 2 cents on the dollar. Every child in the US knows about Aladdin "lunch" boxes. Mr. Johnson made millions for 25 years. Murrey sat behind Mr. Johnson at V. University basketball games for 17 years. His son is the City’s District Attorney. Murrey told Mr. Johnson about Murrey Math and the fact that all markets, reverse off one number. We used to walk at Radnor Lake early mornings, and talk about commodities: Natural Gas. Mr. Johnson’s father and other men brought Natural Gas to Nashville in 1949.